We’ve structured our mission, “Success,” around the the skills gap by giving our employees the resources they need to be learn, improve, and skill up within our company. We believe that establishing a culture around employee success will increase productivity levels, which in turn gives our customers better product, therefore creating more success for our customers’ businesses. 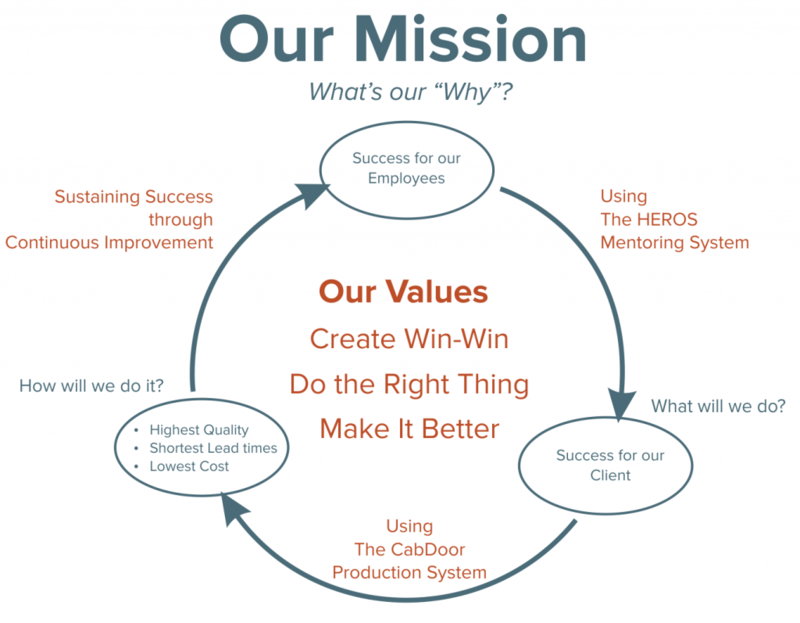 “Helping Employees Reach for Opportunity and Success” (HEROS) is what we call our internal structure that supports our Why and mission for Success. Every employee has four resources they can use to help them move up within the company: the training facilitator who oversees the training process, the team leader for their work cell who monitors their daily performance, a coach who trains them in a new position, and their assigned mentor who inspires and guides them to move up within the company. All of our employees start at an entry level position with the ability to move up. All of our positions are defined by levels, with each level representing a specific wage range. When a position opening is available, the highest performer in that level will get the first opportunity to cross-train. This will cascade opportunity across the level and down all levels. Every employee must be able to complete six requirements in order to stay onboard. They must be able to pass a quality part, meet pace, follow safety procedures, show up to work, be a team player, and have the will to learn. 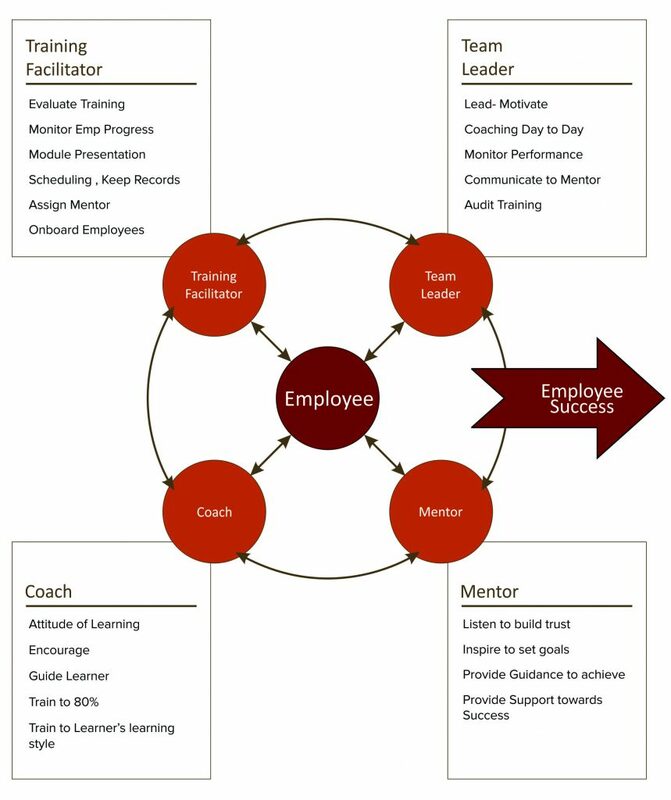 Without requiring these the six things, it will difficult to successfully cross-train and move our employees up within the company. Coming up with all these internal structures wasn’t easy and we couldn’t do it alone. 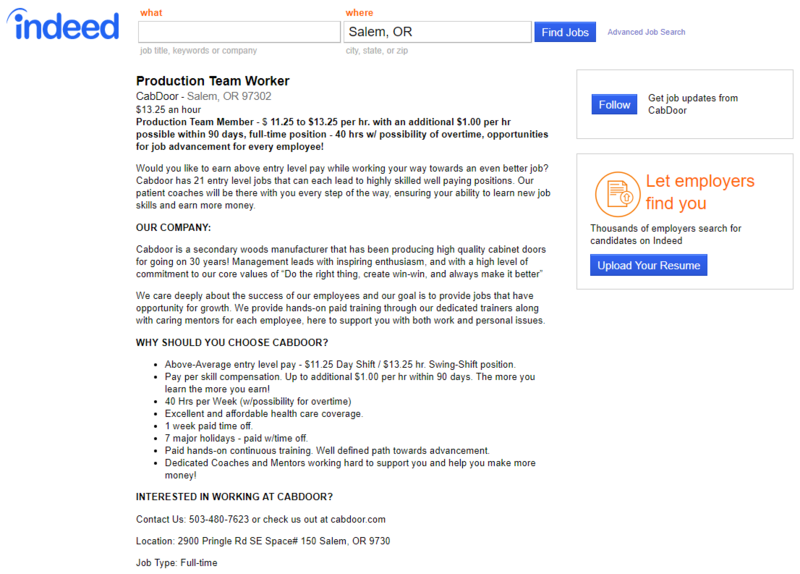 We partnered with Oregon Manufacturing Extension Program (OMEP) to help create and pilot their program called Smart Talent. Smart Talent has allowed us to reduce training times and costs while increasing productivity. CabDoor went through a time when we were struggling to find applicants. Our hiring pool was dry and empty, and no one from the temp agency was willing to apply. To make matters worse, our absenteeism and turn-over rate was high. We were desperate. Once we realized that there wasn’t a labor shortage, but a skills shortage, we realized that we needed to implement our Why of employee success into our job description. After updating our job description to create a more meaningful message, our applications sky-rocketed. What are you doing to combat the skills shortage? With collaboration and sharing, we can help each other bring success to those who work for us. Previous PostPrevious Surviving the labor shortage: What’s going on?